No Smoking Day aims to bring awareness to the dangers of this addiction. The day also tries to spotlight resources available to help people decide to try and quit. 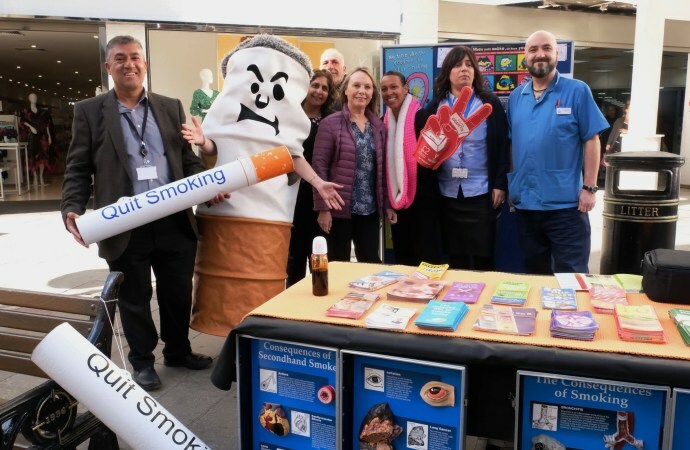 The department of Public Health was joined by the Smoke Cessation lead and other professionals/ interested members of the public to raise awareness and encourage smoke cessation in current smokers. Carbon monoxide monitoring was available on the day, as was the opportunity to sign up for the FREE service. A variety of resources were on display and several also available to support those keen to quit or learn more about health harms. Successful quitters were on hand to offer support and share their experiences.